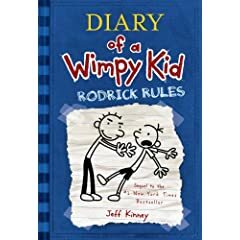 This sequel to the New York Times Best seller Diary of a wimpy kid, is such a fun and relatively easy read for a reluctant reader. It really captures the essence and shenanigans of a pre-teen. Gregory tells us his story through his diary – something embarrassing happened to him over summer vacation, and his older brother Rodrick (a lazy, band playing lout) is holding it over his head all year long. The diary feels so real that you feel Gregory’s pain of dealing with parents, the desire of being the popular kid, and the need to at times … be reasonable (if he must).